The chrome tool is clunky, I prefer the GUI deploy tool from the android tool chain. 2. Find your Blackberry IP. Settings > About > Category Network > Wifi IPv4. 3. On linux, “./blackberry-deploy” to start the tool. 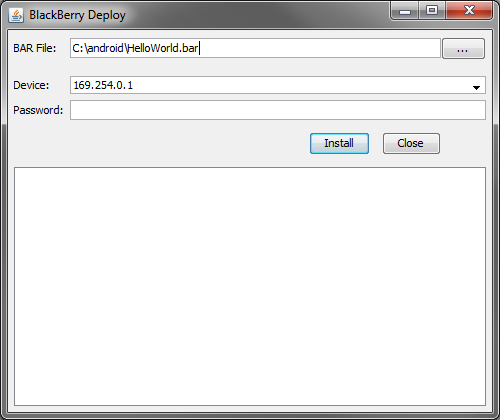 On Windows, open blackberry-deploy.bat. 4. Select the bar, fill in the IP address from (2) and device password (if enabled), and deploy. That’s it! This entry was posted in Uncategorized and tagged android, blackberry. Bookmark the permalink.